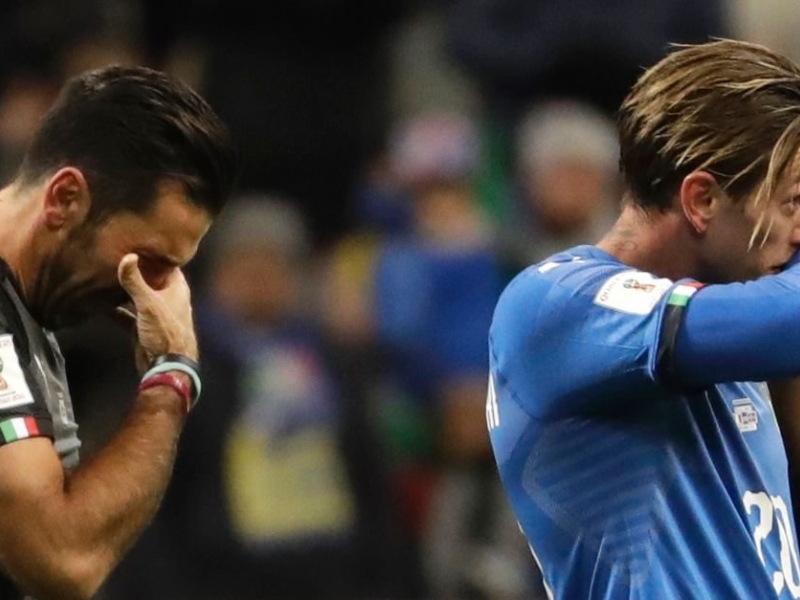 In one of the biggest World Cup shocks in recent memory, Italy will not get to take part in next year's finals after losing to Sweden 1-0 on aggregate in their two-leg play-off. Italy, who have won the World Cup on four occasions, the last time in 2006, will be the most high profile absentee from the finals in Russia next year. The result is a disaster for the Italian national team — which last missed the finals in 1958 — and for embattled coach Gian Piero Ventura, whose tactics and methods have been questioned by pundits and former players alike. Playing in front of a vocal crowd at the San Siro in Milan, the Azzurri went into the game knowing they had to score at least once to stay alive, after a goal from Jacob Johansson gave Sweden a vital 1-0 win in the first leg in Stockholm. Italy looked the stronger side, and had plenty of chances — 11 shots on goal to Sweden's one in the first half — but could not convert any. On the other hand, Sweden appeared hard done by when Spanish referee Antonio Mateu Lahoz declined to award a penalty after a shot by Sweden's Emil Forsberg hit the arm of Italian defender Andrea Barzagli inside the area. In the 52nd minute, Italy had a big chance, but Alessandro Florenzi's shot went just wide of the post with Swedish keeper Robin Olsen at full stretch. The home side continued to create chances, but could not get the vital finish. The play was almost entirely focused on Sweden's back half in the final minutes. With seconds left, Italy forced a corner, but when the final whistle blew there was nothing but a chorus of boos from the Italian supporters as their team's World Cup dreams were ended.